If you are an existing patient, we would like to thank you for trusting us with your dental care. 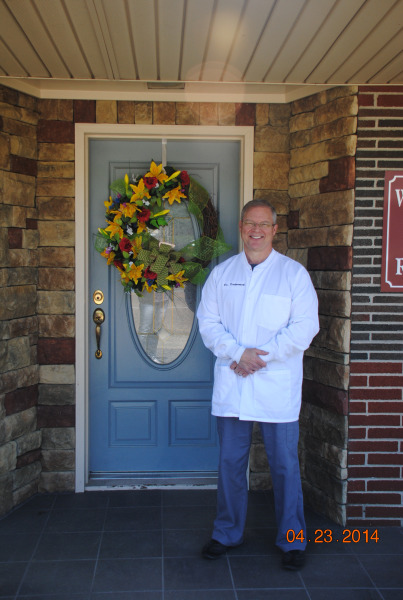 If you are a new patient we would like to welcome you to our Chattanooga dental office. Dr. William David Kirkpatrick and his dental team are committed to providing you with the personalized, high quality dental care that you deserve. With our advanced dental procedures, you can have a beautiful smile that is both attractive and healthy. Whatever your dental needs might be, you will be given quality care by a compassionate group of professionals while providing you with a comfortable atmosphere and a painless approach to dentistry. We offer patients a comprehensive list of general, restorative and cosmetic dental services designed to meet your needs. Our goal is to assist each of our patients in achieving and maintaining long term dental health and a beautiful smile. Whether you are having pain after enjoying an Ice Cream Sunday or lost a crown sinking your teeth into a caramel apple, we are here to help you. With your initial appointment, we will spend about an hour with you to understand your concerns, point of view, history, and the direction you wish to go regarding your oral health. Contact our dental office today @ (423) 870-5301 to Request an Appointment! We can e-mail or mail to you, all patient forms to be filled out and brought with you. You will be responsible in contacting your insurance company to see if we are a participating dentist. Part of our commitment to serving our patients includes providing information that helps you to make a more informed decision about their oral health needs and the dental treatments. We encourage you to visit our dental videos page which contains a library of videos related to the dental procedures and treatment options we offer. Please browse through our website and be sure to contact us at (423) 870-5301 if you have any questions or would like to schedule an appointment.